Embrace summer with Pororo and friends! Start collecting our latest NETS FlashPay cards today! Love watermelons as much as Pororo does? 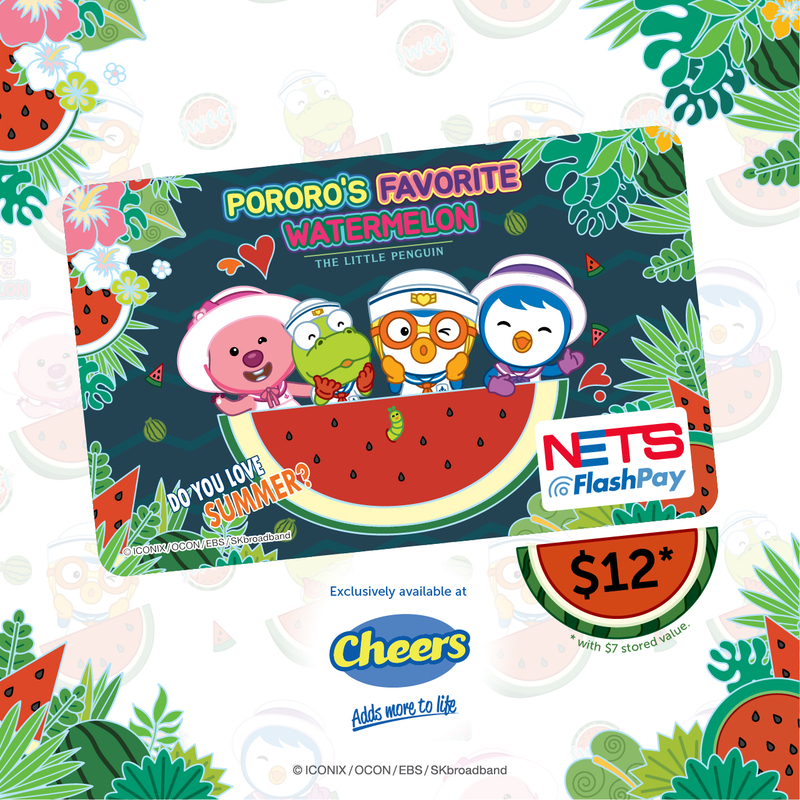 Celebrate summer with this limited edition Pororo NETS FlashPay card, now exclusively available for $12* at selected Cheers stores! *Inclusive of $7 stored value. While stocks last.